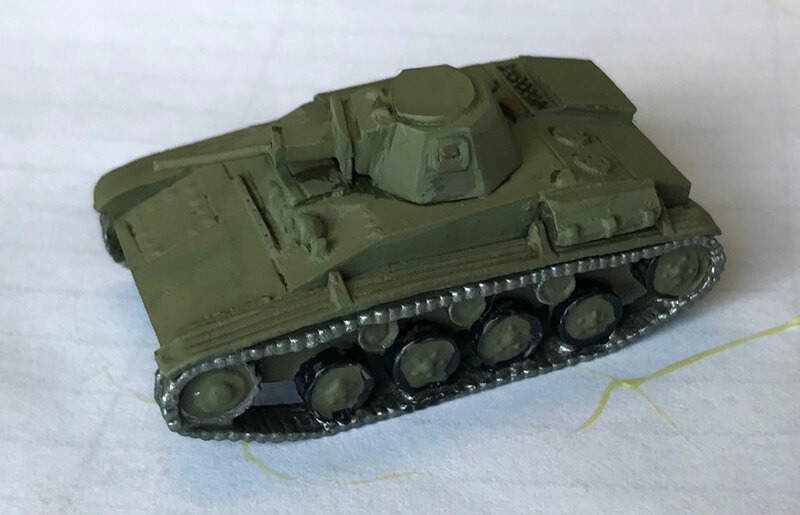 My first Soviet tanks were five Valentines - the original sculpt from very long ago. I don’t recall the reason for painting them (it might have been a game against Pete using Battlefront’s infantry to bulk out the force), but for a long time they remained my only Soviet tanks, in fact my only Soviet forces at all. 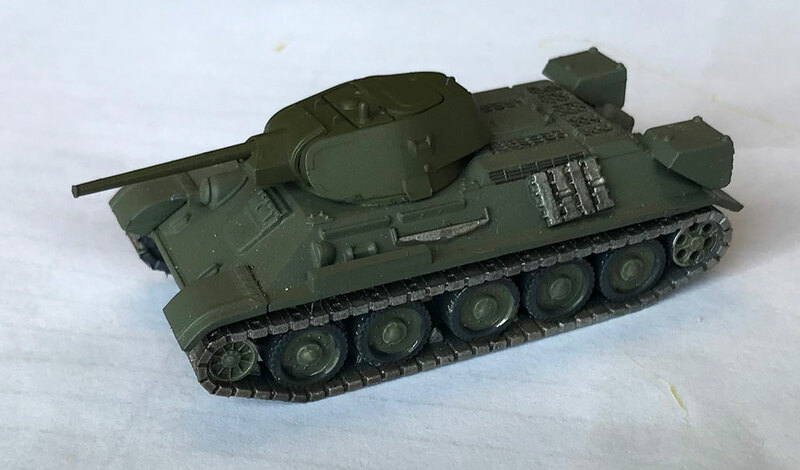 Then, about five years ago, I built a bunch of the brand new plastic T-34 tanks in a big rush for a Kursk campaign at CanCon - during which I seem to recall I lost an entire tank brigade’s worth of tanks! 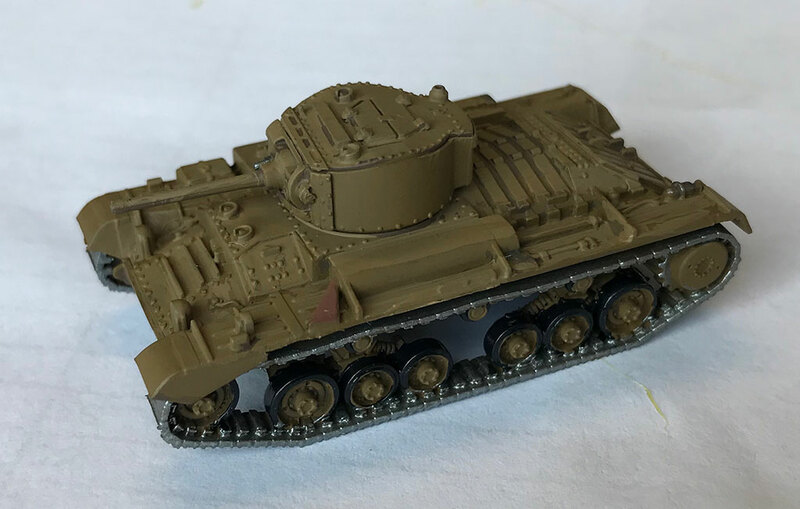 The new KV-1 kit made that part of the force and easy decision - this just so big and ugly, I had to have as many as possible! 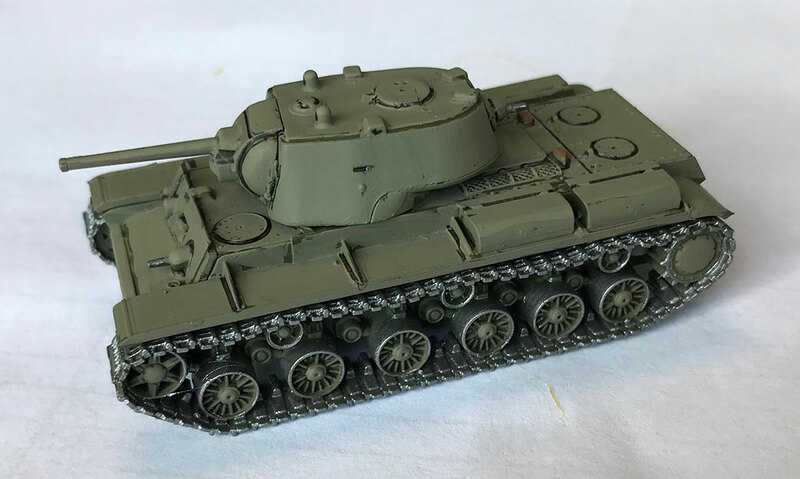 While personally, I have a preference for the later, sleeker, and faster KV-1s, I decided to make mine the earlier KV-1 themed for the fighting around Rzhev.